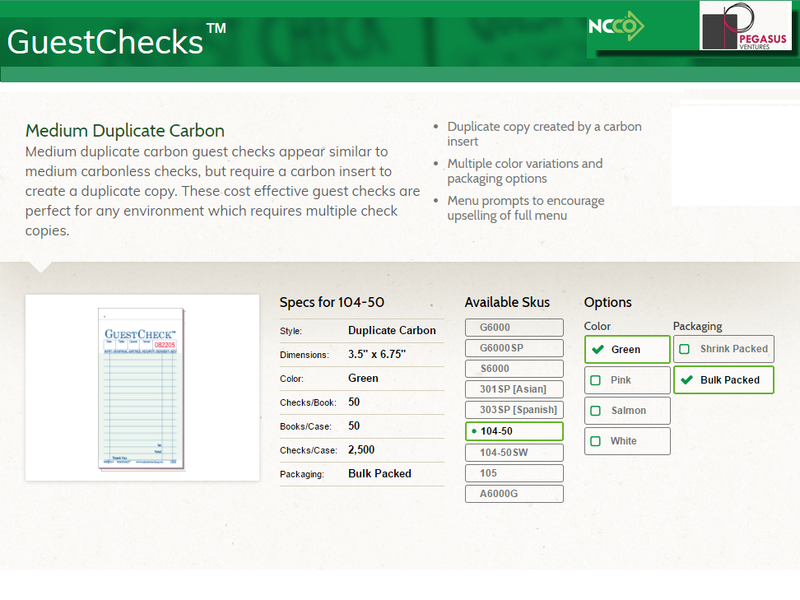 The 104-50 Adams Guest Checks brand restaurant guest checks medium duplicate carbon guest checks appear similar to medium carbon-less checks, but require a carbon insert to create a duplicate copy. The carbon insert makes the 104-50 guest checks cost effective guest checks and are perfect for any environment which requires multiple check copies. Menu prompts to encourage up-selling of full menu. The 104-50 Adams Restaurant Guest Checks come bulk packed in cases of 2,500 medium duplicate guest checks with both copies printed using EarthSafeBond™ paper. 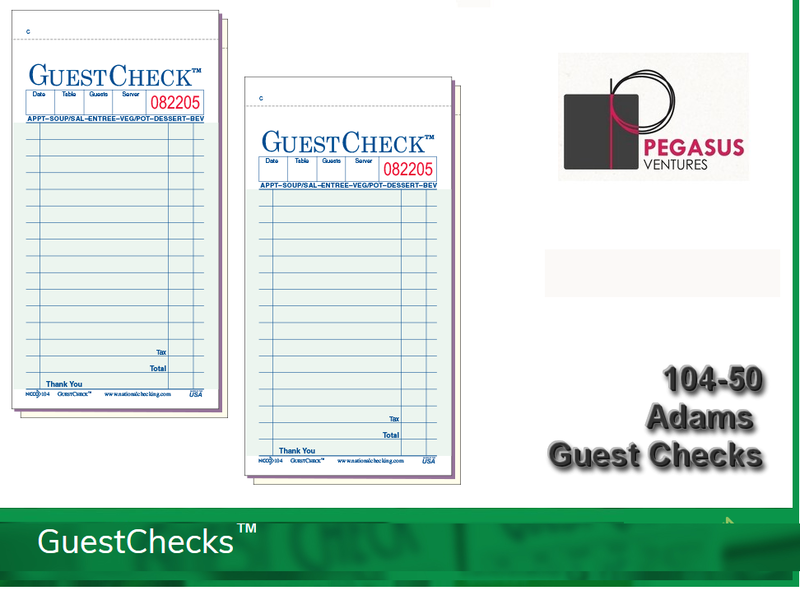 Need a guest check holder for the 104-50 Adams Restaurant Guest Checks? 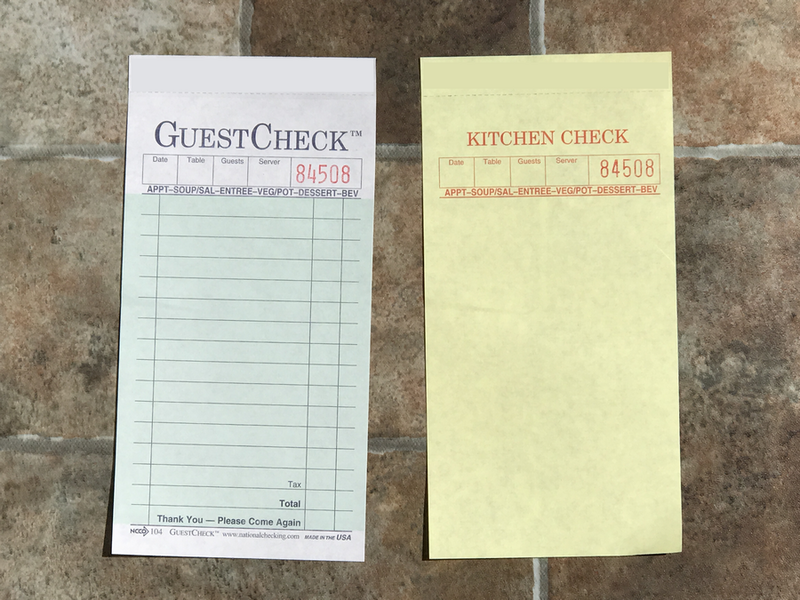 The AL-300 fits great with these restaurant Adams brand restaurant guest checks printed by National Checking Company. The AL-300 GuestCheck™ holder with storage pocket holds single and duplicate GuestChecks™ up to 3.5" x 6.75". 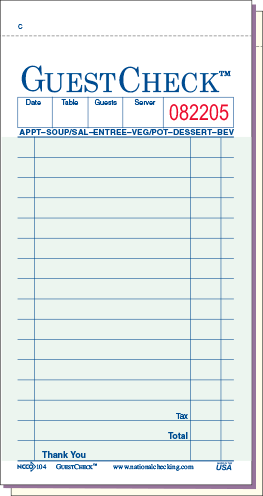 The Adams 104-50 Restaurant Guest Checks are always in stock and ready to ship to your restaurant, catering business or institutional kitchen!